Interesting sites in the Canary Islands. In the Canary Islands you’ll find many interesting sites from the touristic, cultural, artistic and ecological point of view. 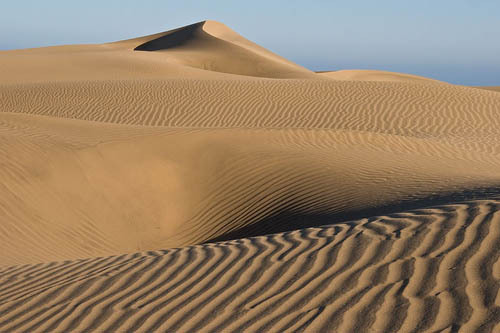 In the Canary Islands you might discover touristic centres as Costa Adeje, or Costa Teguise, till important historic centres as the La Orotava, La Laguna, Santa Cruz de La Palma, or the Las Palmas de Gran Canaria, passing through numerous ecological and natural protected sites as the Garajonay National Park, the Taburiente Cauldron, the Timanfaya National Park or the El Teide National Park, dream beaches as the Las Teresitas, Las Canteras, El Cofete or Papagayo Beaches, theme parks as the Loro Parque, Pueblo Chico, or Siam Park, and art and culture centres as the Jardín del Cactus, the Campesino Monument Museum the La Fortaleza Castle Museum, the Tenerife Auditorium and the Alfredo Kraus Auditorium. If you’re looking for what to see in the Canary Islands click on top of each of its most recommended sites. Description: The biggest island on this archipelago. It has many must-see sites, beaches, monuments, natural parks and theme parks, get to know them! 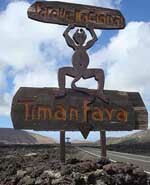 Description: One of the most popular and most visited island on this archipelago. It hides many secrets that you ought to discover, from amazing natural landscapes to towns sunk in culture, tradition and entertainment activities. Description: An island with many beautiful volcanic landscapes and amazing beaches. Moreover it has many lively towns where you might engage in several activities. Description: This island assumes having some of the best beaches in the Canary Islands, yet it doesn't only have this. It has many interesting protected spaces and many entertainment activities. Description: La Palma has been classified Biosphere Reserve due to its enormous woods. Don’t avoid discovering its amazing Natural Parks and its towns with lots of culture and tradition. Description: An island where you might see nature on its purest condition as well as encounter many traditional towns that managed to adapt to its singular orography. Description: Even though this might be a small island it offers many diverse landscapes, from lava slopes to authentic laurel woods. If you enjoy nature and traditional villages don’t miss visiting this island.